There is a growing wave of educational instruction riding over the country. 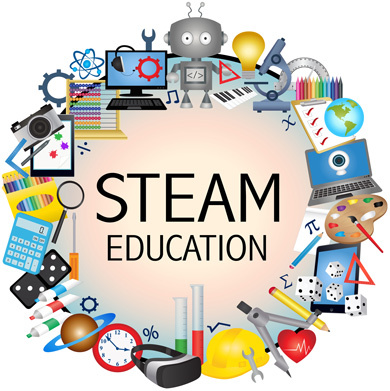 STEAM is a curriculum that focuses on educating students in five basic skills: Science, Technology, Engineering, Art, and Mathematics. The STEM/STEAM movement believes in keeping America competitive by developing a culture of innovation, and educating children in a way that makes them better prepared for new evolving jobs. STEAM education does just that. Starting out as STEM, there was a desire by many to introduce Art as another way of using creativity to foster greater innovation, to introduce design thinking, and to make learning more fun and interesting. So STEM has been making the transition to STEAM. STEAM learning utilizes the design process to structure learning and achievement outcomes. It emphasizes the Four C’s of 21st Century Skills: Collaboration, Creativity, Critical Thinking, and Communication. 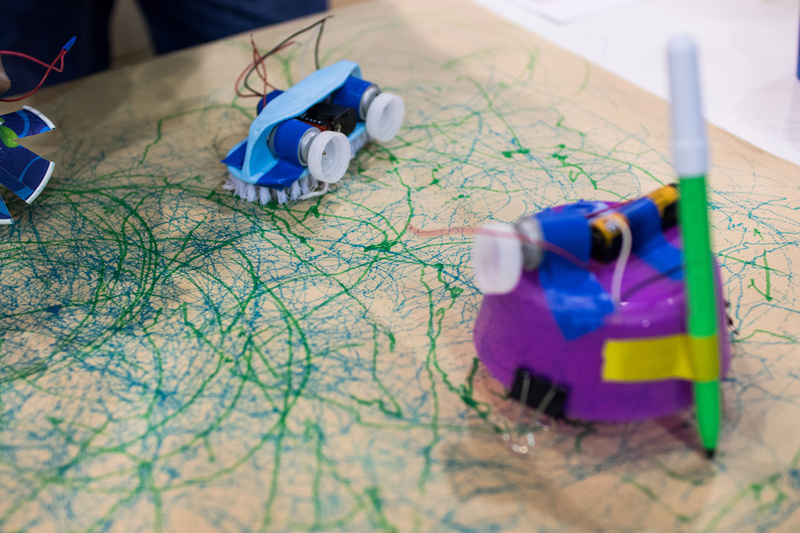 In STEAM classes, education shifts to student-centered learning. It takes advantage of a child’s curiosity, getting them more involved in the “how” of things by experimenting themselves. STEAM learning introduces concepts, facilitates learning, and assesses outcome through projects that often cover more than one subject at a time. And the STEAM way of learning moves the teacher from a lecturer to a coach, answering questions and encouraging students to find the answers for themselves. Finding answers to classroom questions might seem to be a messier process, as projects require hands-on experimentation with everything from Legos and plastic bottles to straws and paint. But the path to the solution is as important as the result. STEAM education rewards experimentation, and, more importantly, introduces an occasional failure as an important part of the learning process. This results in a more meaningful way of learning. STEAM projects provide real world applications of concepts. Kids connect to the project and each other across all levels, as they understand why they are learning certain concepts and how the results relate to other principles. STEAM is being introduced at younger ages, and can be built on throughout a student’s educational career. By encouraging and supporting informal learning opportunities (a.k.a. 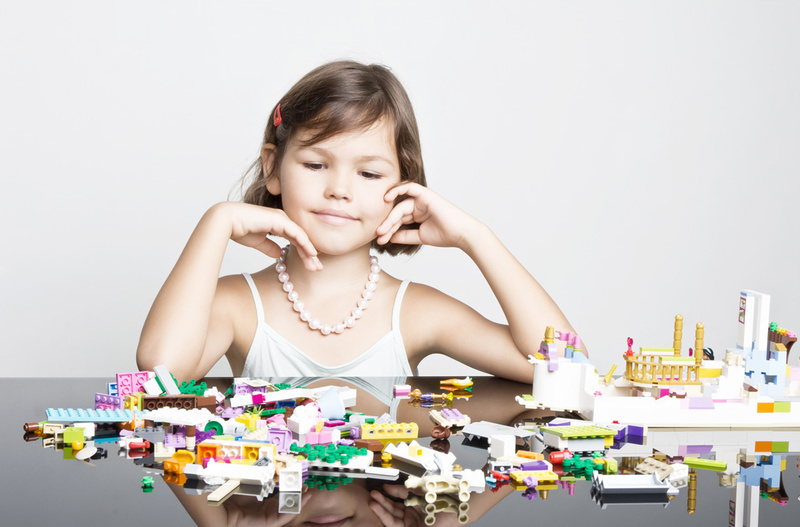 play) that explore STEAM, companies who create, manufacture, and distribute STEAM related products are helping to prepare children for formal STEAM studies and careers. Play can be introduced into a process that enriches learning and makes difficult subjects less threatening. STEAM can take advantage of a natural curiosity that exists in younger children and can be nurtured through future grades. Another positive aspect of hands-on learning is that it aligns students thinking with career paths. Students are able to learn about STEM/STEAM careers early in the game. And STEM/STEAM education fosters industry and community partnerships such as the Maury County Public Schools in Tennessee and the Marburger STEM Center in Michigan. Working together, local industries and community organizations can do a lot to prepare students for a STEAM career. STEM and STEAM curriculums are changing the way teachers view teaching. These formats energize learning by letting students learn by doing. It also enables teachers to combine some aspects of their separate subjects so that students understand the basics of both subjects in one project. STEAM curriculums are the classrooms of today. Getting used to a new way of teaching and learning encourages growth of both the student and the teacher in ways you never thought possible.